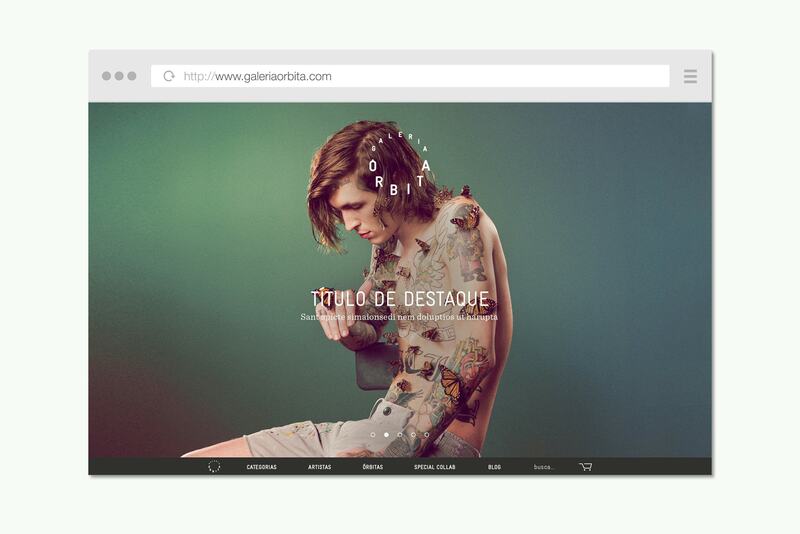 Galeria Orbita is an online gallery founded by the cutes Vivian Gaieski and Natalie Borges. “A gallery with no pretension” Órbita gathers works of photography, painting, illustration and collages by artist and creatives from all over the world reproduced in fine quality prints. The art pieces are not limited by a number of copies but by the time that they are available in the gallery – unique collections lasting around 90 days and expiring after this cycle – what they call orbits. In parallel to this orbits, the curatorial team invites from time to time hand picked artists for special collaborations where they are asked to create artworks exclusively for the gallery. 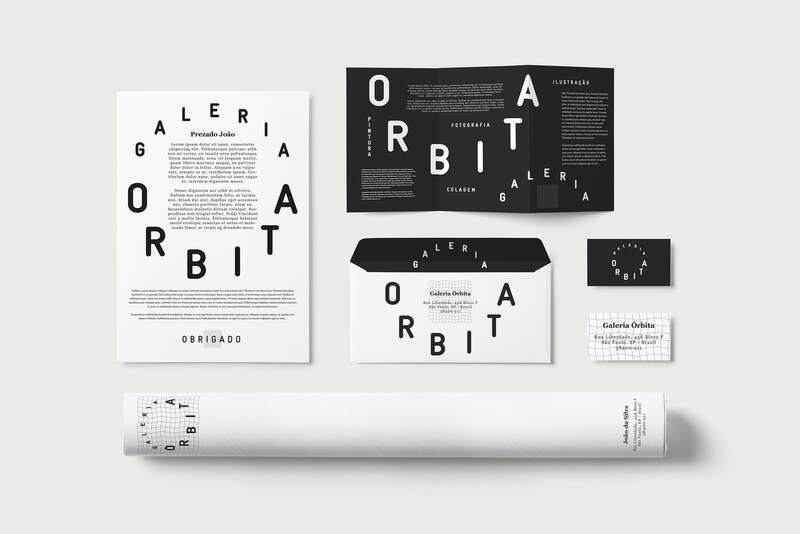 In 2014 we were invited by Vivi and Nathalie to create Galeria Orbita’s visual identity. 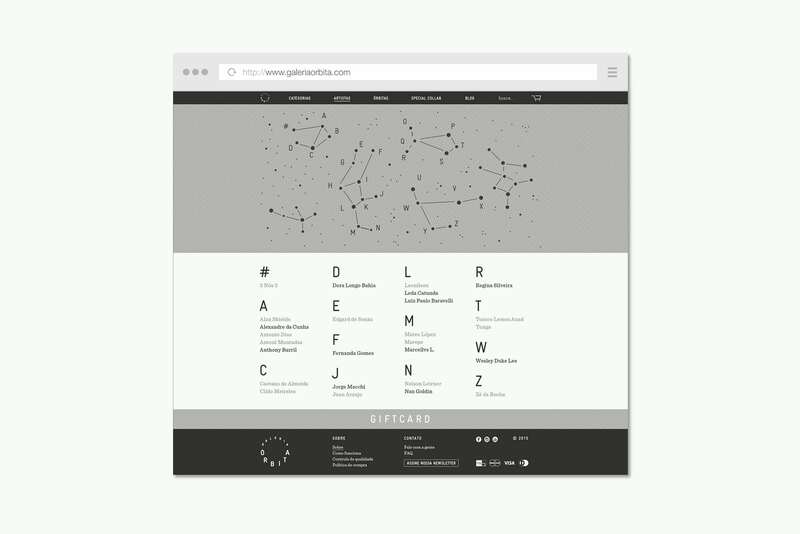 With sci-fi and astronomical references, the challenge was to create a brand that was simple, strong and fun, but surely, recalling the main attribute of the project: the cycles or orbits that the gallery works around. A rounded moving logo and a folded grid was designed putting together both the orbit concept and the printed aspect of the gallery. The deliverables ranged from online material to offline packaging. Galeria Orbita is now on its second orbit. Go ahead and get yourself or your beloved a beautiful print at their website.